Thomas J. Alves has been an associate with Blish & Cavanagh since August 2014. Prior to becoming an associate, he worked for the firm as a legal intern in 2012 and 2013. 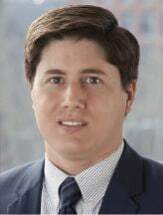 Before joining the firm, he worked as a legal extern for the United States Environmental Protection Agency-Region Two Air Division in New York City, assisting the staff attorneys in their enforcement of the Clean Air Act. He also has worked for the Community and Economic Development Clinic at Hofstra Law School, helping low-income residents of the Hempstead, New York community incorporate businesses and tax-exempt, nonprofit charities. Mr. Alves earned his Bachelor's Degree in Philosophy from Eckerd College in 2007. He was awarded his J.D. from Hofstra Law School in 2014 with a Certificate of Study in Energy and Environmental Law. While in law school, he won first runner-up in the American Bar Association Section of Environment, Energy, and Resources' 2013 Student Energy Law Writing Competition. His winning paper titled "There's Still a Chance: Why the Clean Air Act Does Not Preempt State Common Law Despite the Fourth Circuit's Ruling in North Carolina v. TVA" was published in the October 2013 edition of the ABA Renewable, Alternative, and Distributed Energy Committee Newsletter. Mr. Alves is admitted to practice law in Rhode Island and Massachusetts and is a member of the Rhode Island Bar Association.